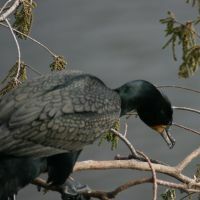 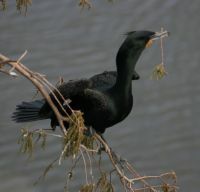 The Double -crested Cormorant dives from the surface for fish. 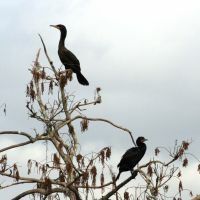 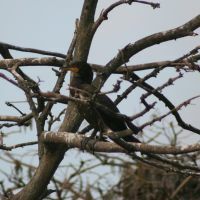 It has a rounded beak which makes it easy to distinguish from the Anhinga that also perches with outstretched wings to dry off, but has a pointed beak. 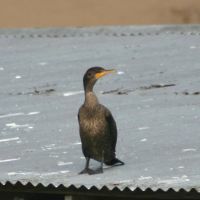 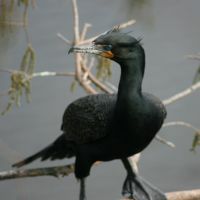 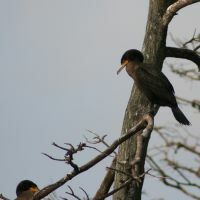 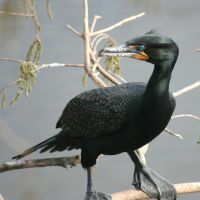 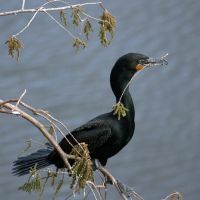 Adult Double-crested Cormorants have a tuft on either side of thier head from behind the eyes.